An overcast early morning start to MouseAdventure is unusual, especially in wonderfully sunny Southern California. 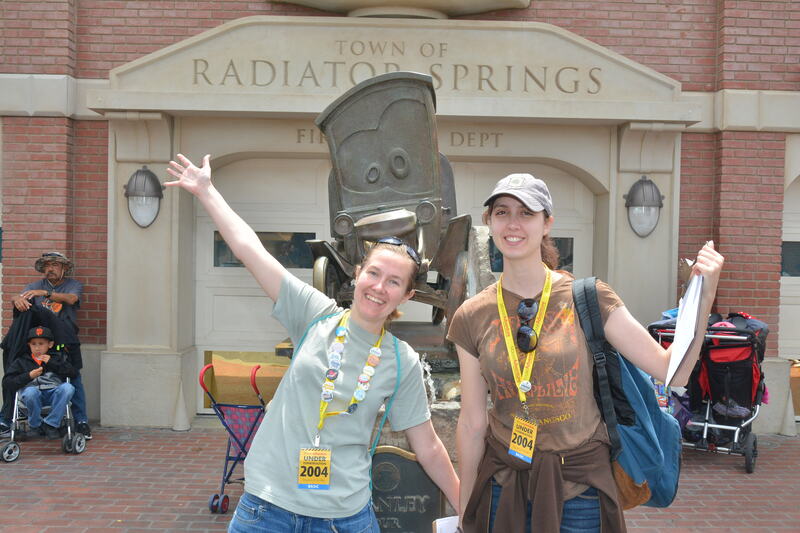 However, by noon, the sun was blazing down on the 500+ players in Disney California Adventure. As the subtitle of the game would inform the casual viewer, Disney’s properties are mostly Under Construction, so Third Gate Games tried to capitalize on an obvious theme. Starting the day off in the AMC Theater, Joe lead a quick new team Q&A with the aim of bringing the eager new teams up to speed on how to Adventure most effectively. At 9:30 a.m., the event kicked off with David giving a warm welcome to everyone in the theater and lamenting that it would be our last time together in that location… Due to construction, of course! Over the years teams have been fantastic about recyling their delightful yellow lanyards; being rewarded with a chance to win an amazing raffle prize is, of course, just an additional benefit. This time out, the raffles prizes were made up of a collection of pins and Tsum Tsums, but then four “limited edition” (again, due to construction!) Cove Bar coasters were added to the mix. After the excitement of the raffle drawing, and some basic day-of information, Joe then explained the rules to the teams, and Stephanie joined Joe & David in a visual representation of what how not to split up your team and be penalized for it. Rounding out the presentation with a quick reminder about the post-game social media Photo Contest, Stephanie then handed the microphone back to Joe to release the players into the park for the scatter start. This quest title is actually a double entendre referring to several written stories, and also to the multistory buildings nearby. 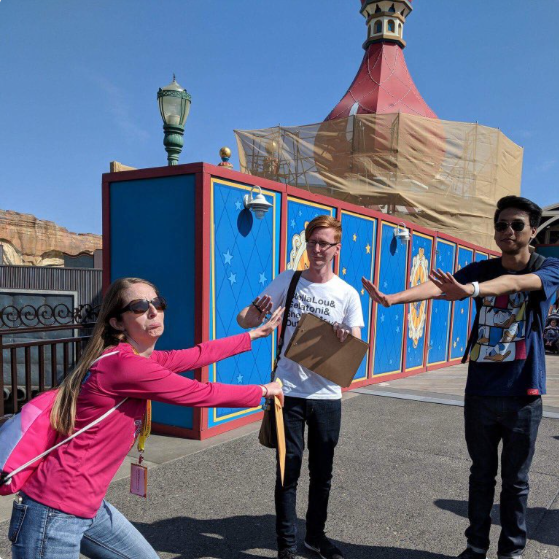 Provided with eight clues, teams had to find their way into the Redwood Creek Challenge Trail and locate a pathway with wooden carvings that feature Native American folklore. Teams associated the given clues with the characters’ stories, and noted down their Native American names. When transcribed in the correct order on the provided grid, eight highlighted letters spelled AHWAHNEE (backwards). Upon inspection of the Redwood Creek Challenge Trail map at the entrance to the area (or a nearby sign), the full name of the area that contains this word is Ahwahnee Camp Circle. 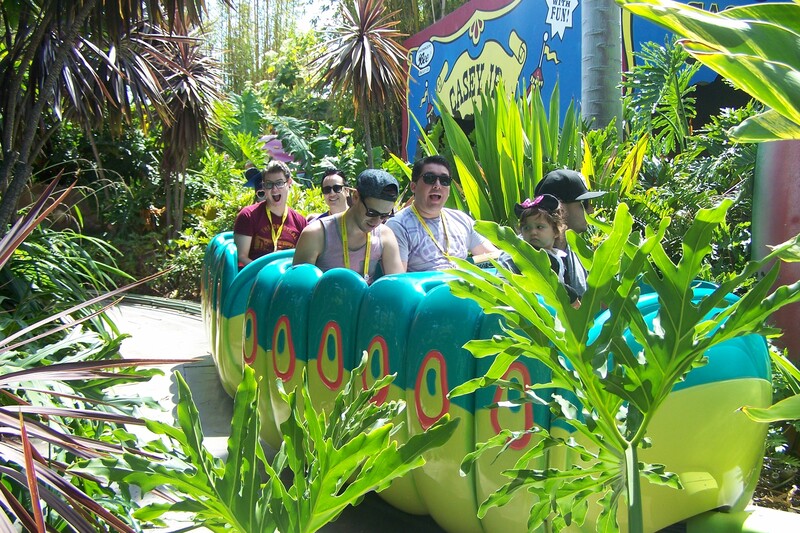 A good vantage point, sharp eyes, and a keen sense of detail lead to success in this farewell to “a bug’s land” quest. The central body of Flik’s Flyers has panels featuring confection-like textures. Teams were provided with a selection of these textures, a representation of the ride, and letters to use for the decode. After patient and careful observation, the following questions could be discerned: Last food item seen on Chew Chew Train. A quick waltz over to Heimlich’s Chew Chew Train revealed that after an abrupt burp, the final food item was candy corn. 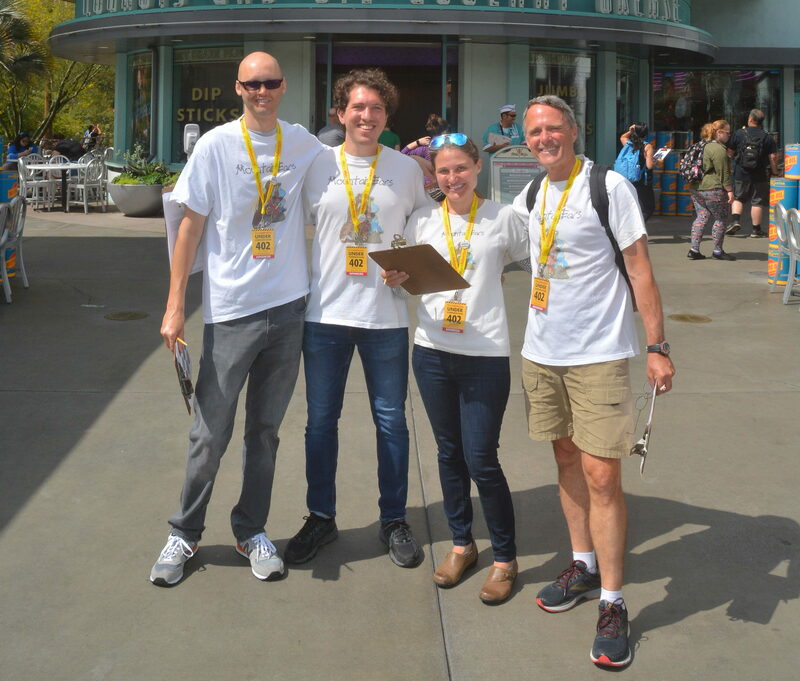 A grateful thanks should be made to the MouseAdventure Inspection and Code Enforcement (MICE) team for their dogged attention to detail and being out and about in the park all day. Each inspector wore an orange vest and carried a clipboard with vital information for teams. The primary information contained on the clipboard was a column of up to twelve characters that teams copied down, some puzzling over what to do next. 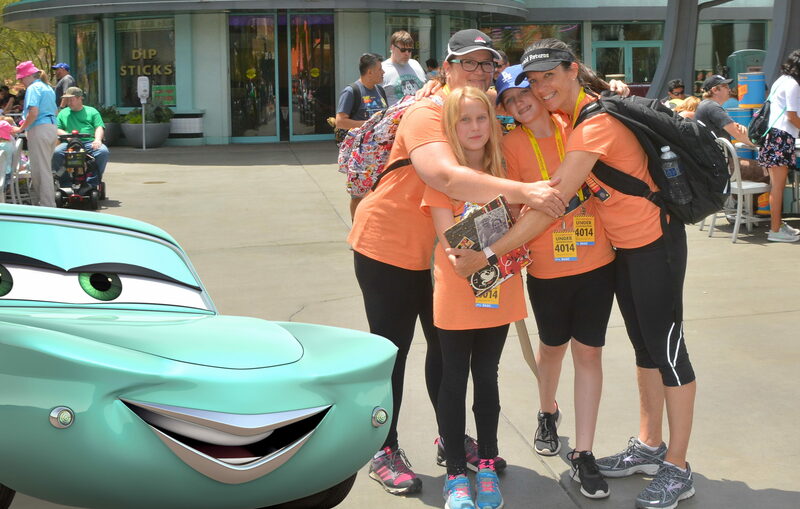 Congratulations to teams who found all seven of the MICE, and were able to complete the seven-column, 12-row grid (or those who didn’t but solved it all the same) to reveal the question: List the titles of the four Pixcar animation factory movies advertised on Route Sixty Six. The final answer to this quest was found on posters opposite Sarge’s: Fueling Nemo, The Incredicars, Toy Car Story, and Monster Trucks, Inc.
Players are familiar with most of the windows and doors on Buena Vista Street – but did they think to look through all the windows? This particular attention to detail was the key to one of the most elusive answers for this quest, which referenced the headline off of a newspaper inside the Packard car parked by the service station. 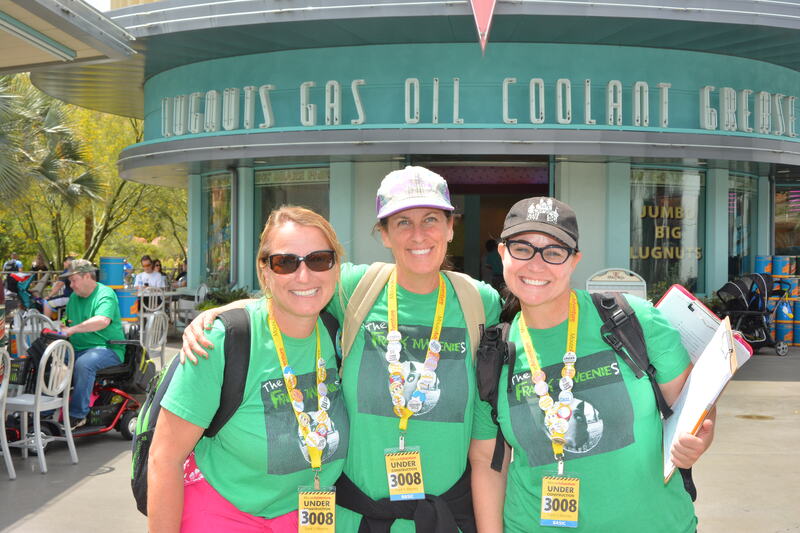 Teams copied down the answers to twelve clues, then moved to the second part of the quest at Smokejumpers Grill where a single member of the team was selected to finish the next phase. If they hadn’t already made a note of spelling and capitalization while writing down the answers, that requirement became clear when they were presented with a table full of different colored Sharpies labeled with words. Some words corresponded to the correct answers, while others were deceptive incorrect ones. 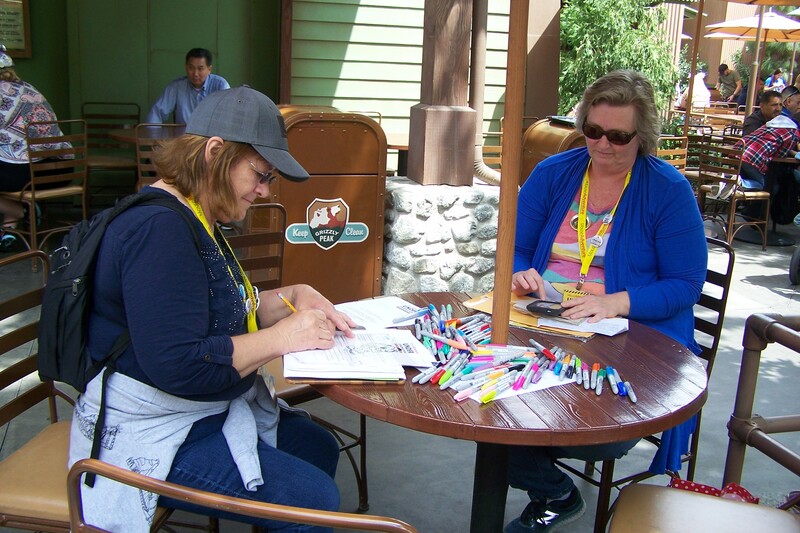 Using the aforementioned Sharpies, one member of the team selected the correct colors and completed indicated sections of an animation cel, which was turned in to the MouseAdventure crew working the station. Each correct color was worth three points; if a team got all twelve correct, they received an additional four points, for a total of forty points. This quest is a cross-country nod to the other place where you can play MouseAdventure: Walt Disney World… a place eternally ringed with cones supplied by Bob’s Barricades. 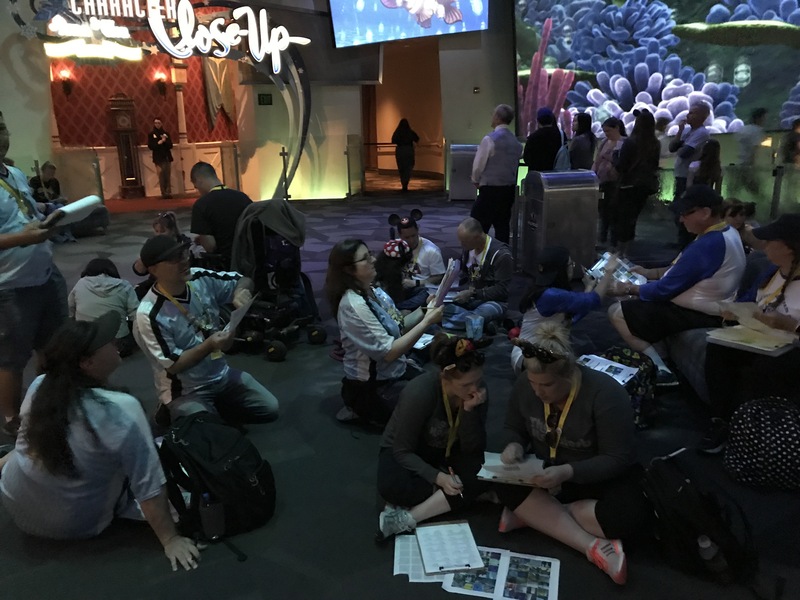 Each team received a set of nine cards with patterns matching those on the construction walls of the soon-to-be Pixar Pier. By correctly matching each card to each piece of wall, players formed a question using the letters off the back of the card. Some teams took some time to realize that the cards (like their source panels) could do double duty by rotating them 180 degrees. With 97 wall segments to cover, this quest took some players quite a while. The final question was: Look at the concept art for the soon to be completed Pixar Promenade and count the number of performing band members. Players found one of the two concept art drawings on the walls to determine that there were three band members. 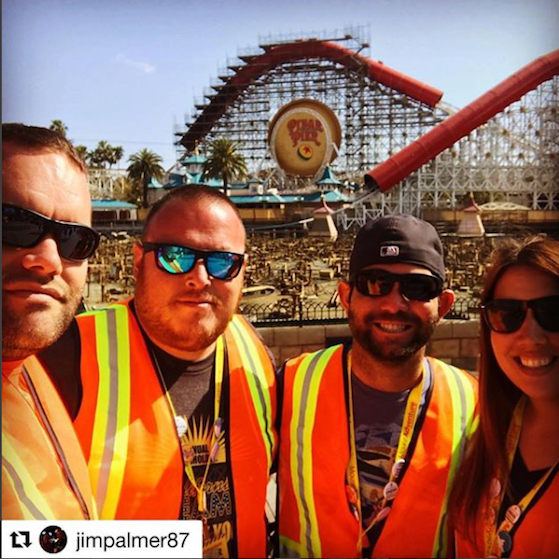 Unfortunately due to restrictions on a cul-de-sac location with no fire exits, Paradise Pier staff severely limited team access to the area, and at 3:20 p.m., closed the area to players. Some quests are super inspiring, and others can be deeply difficult. Wallpaper was very much a bit of both. In the Animation Building in Hollywood Land, teams watched sequences from various Disney and Pixar animated films on the projection screens to place three images from select sequences in order. Teams who noted the sequence order and identified potential images based on the named films had a leg up, allowing them to place items in order starting at the entrance and moving clockwise around the room. The room’s darkness and similarity of some images challenged some teams, and it was not unusual to need about two full loops to finish. Once completed, the three pages, when placed side by side, spelled out a final question: Today’s first animation academy class is what character. The final answer was on a display next to the Animation Academy entrance, and it was Mickey Mouse. The Team Photo turned into a quest! 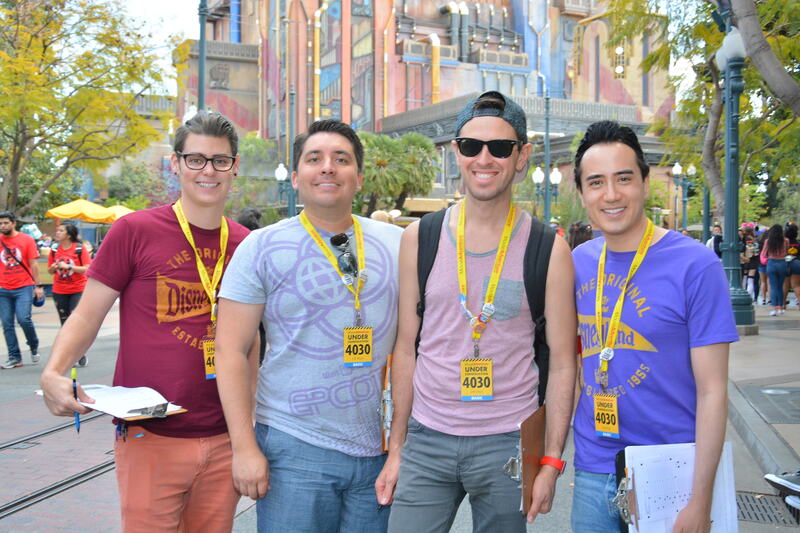 Teams found a PhotoPass photographer to have their picture taken inside the park and receive a PhotoPass card. 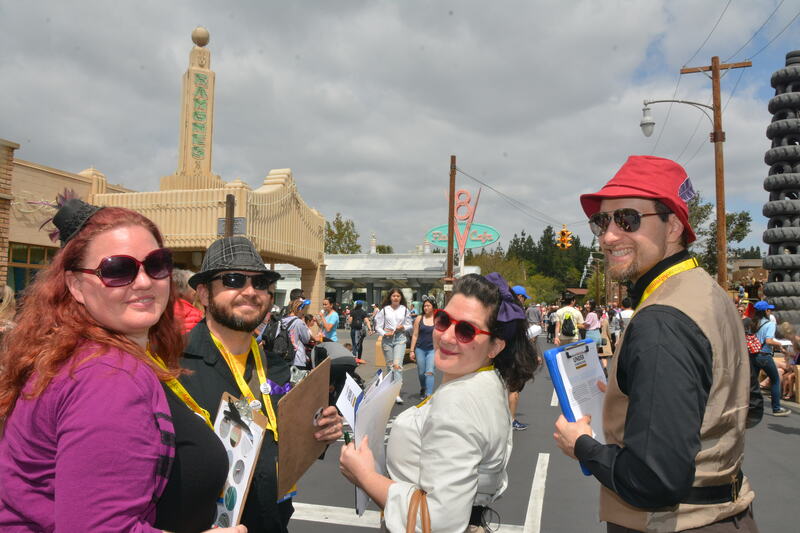 Teams who turned in the PhotoPass card at MouseAdventure Central before 3:30 p.m. received credit. All available team photos are available in the MouseAdventure Under Construction Team Photos gallery. MouseAdventurers should be familiar with the fascination of decoding ancient or dead languages. As this was an Advanced quest, the first challenge was to figure out where the provided characters were located. The Guardians of the Galaxy tower presents a new, alien language (Celestial) with which to work. Using either the labels on the FastPass machines opposite the ride entrance, or the signage over the store exit, players decoded the alien message to read: YTILIBISNOPSERTAERGRUOSIECIVRESRUOY. Teams located the name of the business associated with the statement, which when read backwards spells: “Your service is our great responsibility.” A sign painted on the wall opposite the newly-opened Captain America character meet-and-greet advertises the answer: BP Power Co. Nothing says an Advanced quest like a quick walk to the LEGO store. Once teams made it there, they matched the outline of the provided word search grids to two windows with LEGO minifigures arranged in a representation of a giant LEGO minifig. Teams located each minifig in the array that was wearing an orange construction vest with gray stripes and a pen in the pocket, and then circled the letter corresponding to that figure’s location. When read together, both windows asked: All these workers use a time clock. At what time did they start if they used Cogsworth today? The answer was right around the corner, as the time on LEGO Cogsworth reads 4:40. A true challenge trail in the Redwood Creek Challenge Trail took teams to the Millennium Tree to answer fourteen questions. Answers to the fourteen questions sent teams on a Critical Path, starting facing the back of the entrance map, and guided by instructions associated with each answer. Each directional segment corresponded to a question about an item in the area where the teams stopped. These answers, indexed using the provided numbers, spelled out the final question: Reason trail is unavailable after dusk. A sign at the entrance to the area blames “rambunctious bear activity” for the early closing. Please take our brief survey to let us know how you heard about our game, and what you thought of it. If you don't mind us contacting you to get more details, there's also an option for you to share your e-mail address with us. Full results are available on the MouseAdventure website. The total possible points for this game was 408 for Basic and 528 for Advanced, including the hidden quest, which 50 teams correctly answered.. The best new team (not otherwise placing) was Once Upon a Dream with 370 points. There were not enough teams to make a full family division for this game, but the highest scoring family team was team Awesome Mix Vol. 1, with 348 points. A Masters team is a team that has placed first in three events, and has been retired from competition. 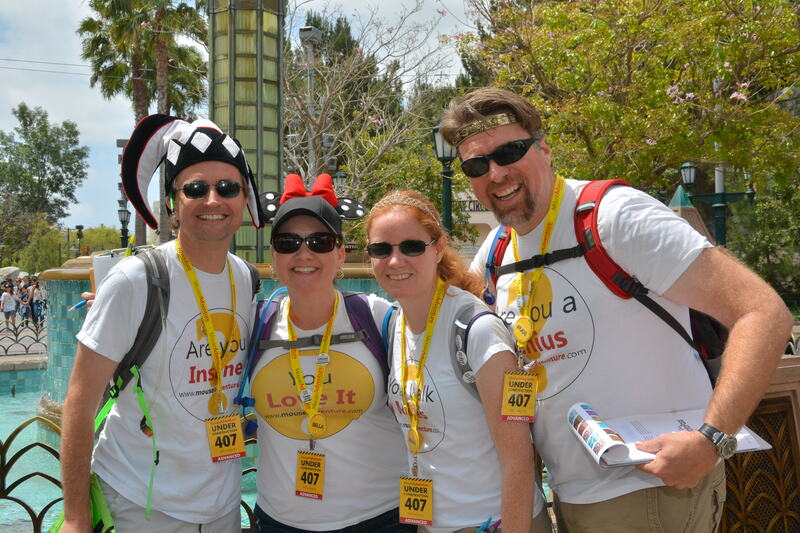 Although not eligible for any prizes during non-Invitational MouseAdventure games, Masters teams return to set the bar for other teams to compete against. They play mainly for bragging rights and the thrill of the puzzle hunt. 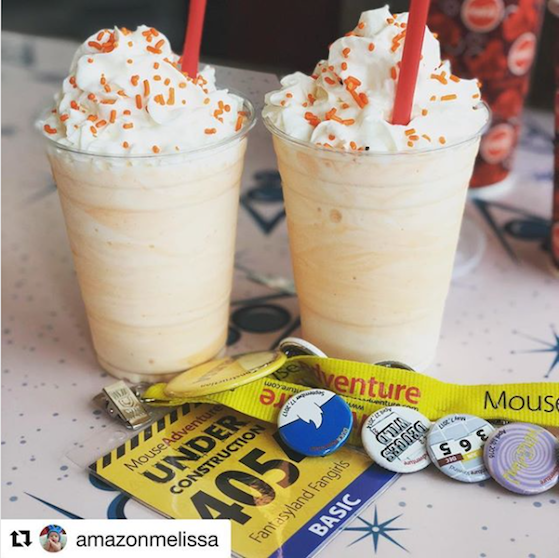 Congratulations to the four winners of our #MAUnderConstruction photo contest: @lennonwaters and @andreajessica on Twitter, @jimpalmer87 and @amazonmelissa on Instagram. 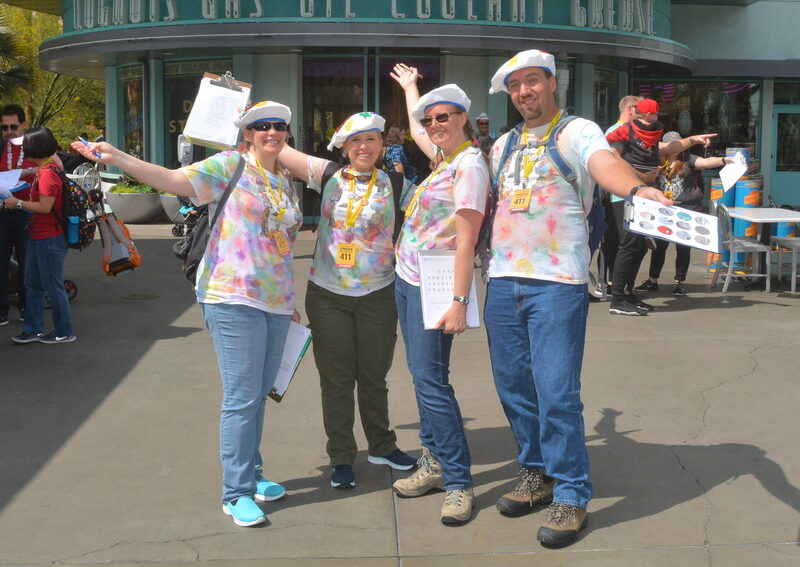 Players uploaded photos showing their MouseAdventure spirit after turning in their answer sheets for a chance at a prize. 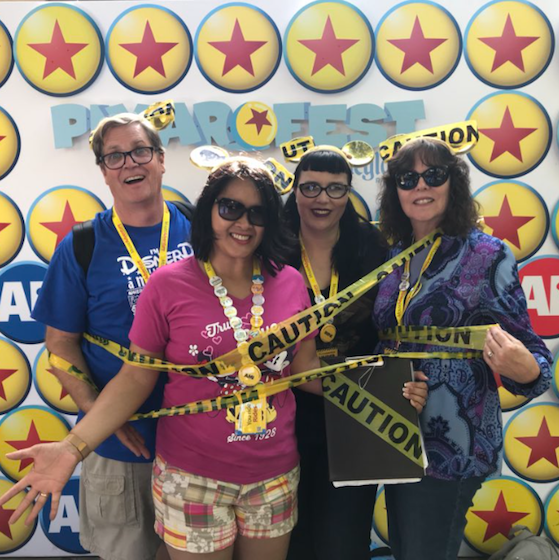 Thank you to our MouseAdventure crew volunteers Aaron, Cheryl, CJ, Helga, Janis, Kate McQ, Katie M, Lora, Mox, Nathaniel, Shoshana, Steve, Tommy, Vicki. Thank you (also!) to Shoshana for writing our trivia questions.